Bird Vet - Bird Friendly Hospital and Staff. My bird is sick – what should I do? Remember that birds hide signs of disease very well, so by the time the bird looks like the bird in the picture, it needs avian veterinary attention as soon as possible. If there is any bleeding from a wound, apply pressure. Bring your pet bird into to Melbourne Bird Vet immediately . Bleeding birds are treated as emergency cases. Keep the bird warm, about 26° C, is ideal but not directly in front of a heater or sunlight. Minimise stress. Offer your bird food and water. The sooner the bird vets get to treat your pet the better! Note the typical appearance of a sick bird in the picture - "fluffed" and weak. 1) What about covering your bird’s cage to warm it up? A bird vet hospital in Melbourne with three avian veterinarians. 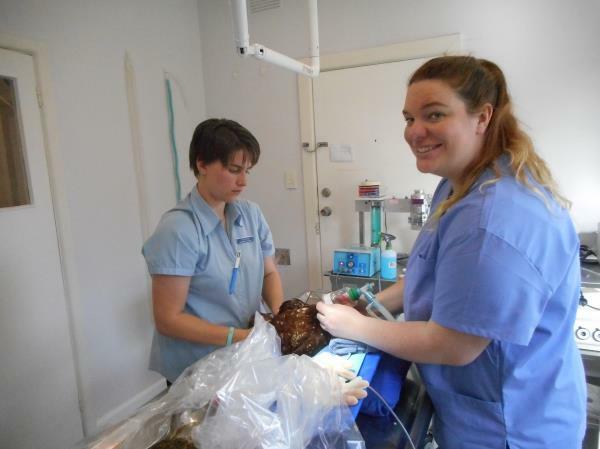 The Melbourne based Bird Veterinary Hospital is located in south eastern suburbs of Melbourne, in Victoria, Australia. We see pet many species of pet birds including, Parrots, cockatoos , canaries, budgerigars, cockatiels, ducks, chickens, pigeons and finches. Chickens are one of the most common species treated by our vets - chicken vet. If you need a bird veterinarian this Melbourne bird Vet facility is caring and empathetic. The bird vet hospital has facilities and incubators that are purpose made for the small bird pet patient.